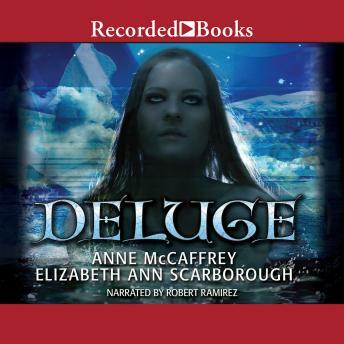 Between them, frequent collaborators Anne McCaffrey and Elizabeth Ann Scarborough have landed both the Hugo and Nebula Awards while winning innumerable fans in the sci-fi and fantasy realms. In Deluge, a crisis point has been reached on the sentient planet of Petaybee. Marmion de Revers Algemeine has been arrested on bogus charges, and the shape-shifting twins have traveled off-planet.